DG’s passion was to be in the gym sparring and training. The boxing gym was a positive place for him. DG had been a bouncer for a few years and knew it wasn’t the best future for him. Boxing was his outlet and passion that he wants to share with everyone who is willing to learn. DG decided he wanted to open a gym for the average person. He believes boxing is not just for competition but also for fitness, self defense and to build self esteem. 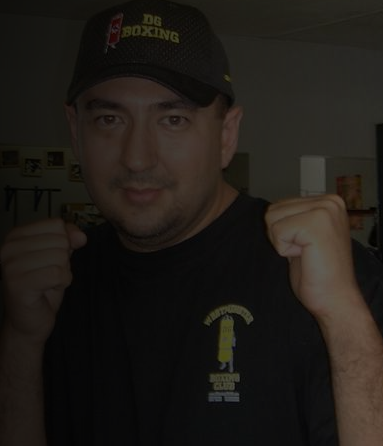 In February 2000 his dream became a reality and he opened his first boxing gym. Today he continues to share his passion for boxing and teaching people, young and old, how to learn to box.